CLASSIC ARCHITECTURE, VINTAGE WINE, NEW CUISINE. 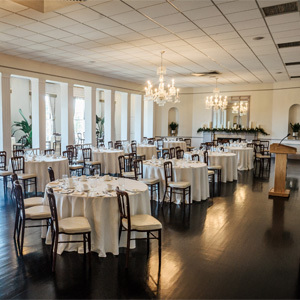 Lawn Club Fine Catering is a full-service events business housed within the New Haven Lawn Club. 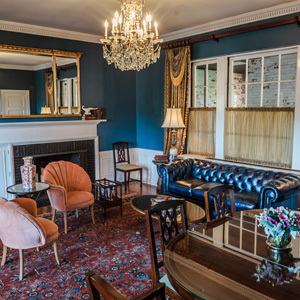 Although the Club itself is private, Lawn Club Fine Catering welcomes members and non-members alike to host special events in one or more of our events spaces. 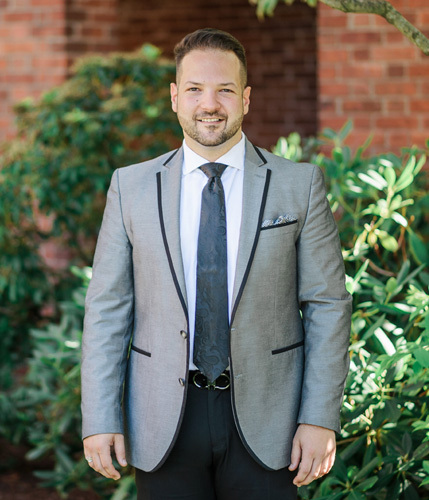 Director of Corporate and Social Events, John Ruggiero, and Director of Weddings, Christine Brush, work enthusiastically to plan events that consistently raise the bar of excellence and address each event’s and client’s particular needs. 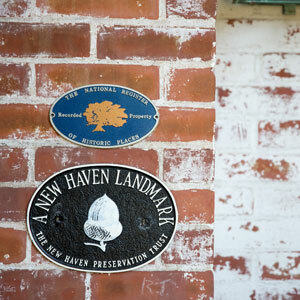 The New Haven Lawn Club, was originally founded in 1891 by a group of wealthy New Haven residents for playing tennis. 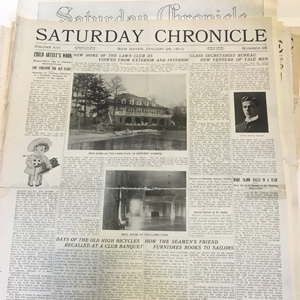 January, 1910, news article features the newly built home of the Lawn Club, which "...will no doubt be the most popular place for entertainments during the coming season." 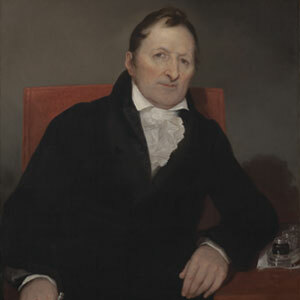 Russell Sargent, Eli Whitney, and William Beebe were among its founding members. After being burnt to the ground in 1929, the Club was re-opened in the present Georgian mansion in 1931. 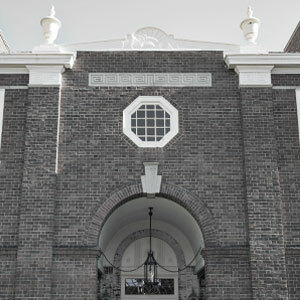 Designed by the famous New Haven architect Douglas Orr, the Club is listed on the National Register of Historic Places. 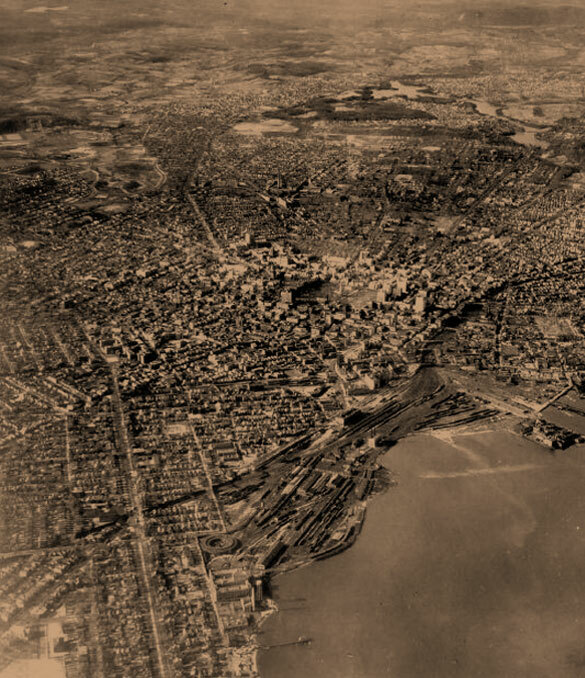 Its architecture reflects both the Art Deco and Colonial Revival style that was popular at that time. CLASSIC. ELEGANT. YOU BELONG HERE. The Ballroom The Club’s original social gathering room, a magnificent space with hardwood floors, a 25-foot barrel-vaulted ceiling decorated with star accents, floor-to-ceiling windows, a large wood-burning fireplace, four Austrian Art Deco crystal chandeliers, crystal wall sconces, a built-in stage, and a terrace overlooking the tennis courts. Perfect for weddings, Bar and Bat Mitzvahs, galas, all-day conferences, performances, and other large special events. The Main Dining Room The Club’s original member’s dining room, a bright room with two wood-burning fireplaces, three spectacular Waterford crystal chandeliers, regency columns with benches framing the dining area, a black and ochre checkered terrazzo floor, floor-to-ceiling windows overlooking the tennis courts, and doors that open out onto a terrace overlooking the tennis courts. 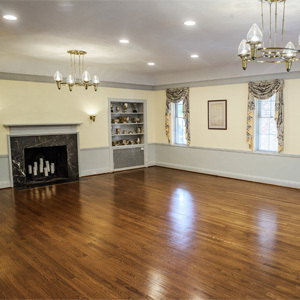 Perfect for pre-dinner cocktail receptions, wedding ceremonies, bridal and baby showers, vendor showcases, and seated banquets. The Lounge The Club’s original living room, a wood-paneled room with Art Deco sconces, Chinoiserie drapes, Oriental rugs, a wood-burning fireplace, and French doors that open out onto a terrace overlooking the tennis courts. 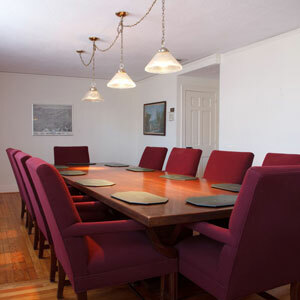 Perfect for midsized lunches, brunches, corporate retreats and presentations. 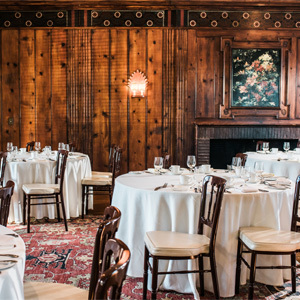 The Private Dining Room The Club’s original informal dining room, a traditionally decorated room with toile drapes, a wood-burning fireplace, and antique buffet. Perfect for smaller meals and meetings. The Conference Room A simple room with a conference table and comfortable chairs. Perfect for working lunches and small meetings. The Lower Card Room The last remaining original Club card room, with an antique mahogany dinning set, a wood-burning fireplace, chesterfield sofa and Oriental rug. Perfect for intimate meals and meetings. Whether it is a gala, corporate retreat, or Bar or Bat Mitzvah, conference, retreat, bridal or baby shower, your function will be expertly handled by our Director of Corporate and Social Events, John Ruggiero. 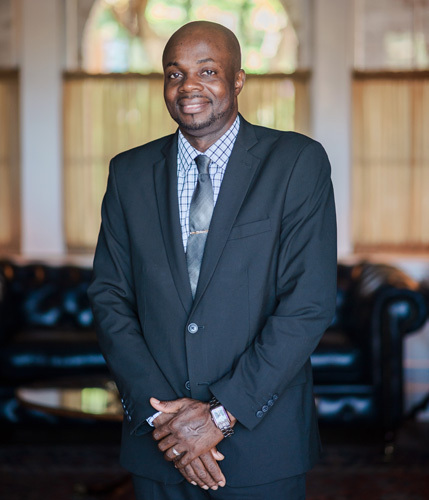 From a small meeting to a once-in-a-lifetime party, John works enthusiastically to plan events that consistently raise the bar of excellence and address each event’s and client’s particular needs. Our talented Executive Chef, Adam Soliwoda, and his team prepare all of the Club’s food on premises using only the freshest, most seasonal ingredients. 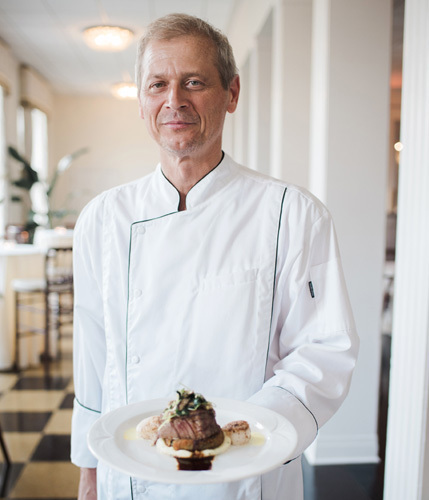 Andy Senior and his team of servers execute each event’s plan to perfection, personalizing service, so that each guest feels particularly welcomed. I am always so pleased when we have a meeting at the Lawn Club. John makes everything so easy and the rest of the staff is professional and anticipates your every need. I am always nervous when we have to hold a meeting in another venue. The evening was seamless and the food was fabulous, as fine as any 5-star restaurant could/would have served. John Ruggiero, a man of style, grace and dedication, was absolutely amazing! He was attentive to every minute detail and anticipated every need we had for my parents’ special evening! Because of John’s unbelievable care and outstanding efforts, we will always remember my parents’ special event to be a cherished and incredible memory! The Lawn Club was the perfect venue for our staff retreat — a lovely setting, great catering, and excellent service. We would love to come back again! I had meetings with John Ruggiero and numerous e-mails, he took care of every detail and some were difficult. But, he was always pleasant, and always said "it was no bother and he would take care of everything." All of your staff the day of the party couldn’t have been more helpful or pleasant to deal with. The food was the best, everyone complemented how great it was, our hats off to the chef. Thank You. Lawn Club Fine Catering staff were incredible. We had a tough program advisor, and she wanted things a certain way. Several times, they dropped everything and did what we asked, with absolute professionalism and courtesy. Everyone is lovely. I love the improvements, especially the ladies' rooms. Very nice job. Thanks again, we certainly will be back. We booked Lawn Club Fine Catering for the ASID CT Student Table Top Competition. It was a fantastic event and they were a perfect venue for us! The building is beautiful and was exactly the setting we were hoping to find. The staff was great, they all were friendly, helpful and professional. I would absolutely have this event there again, and if I personally ever needed a catering hall, I would make the Lawn Club my first choice! 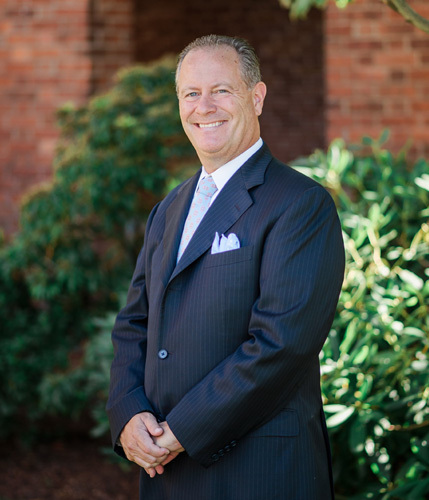 John Ruggiero was very helpful and thorough, often anticipating what I would need for the event. The wait staff the evening of the event couldn't have been more professional, helpful and friendly all at the same time. 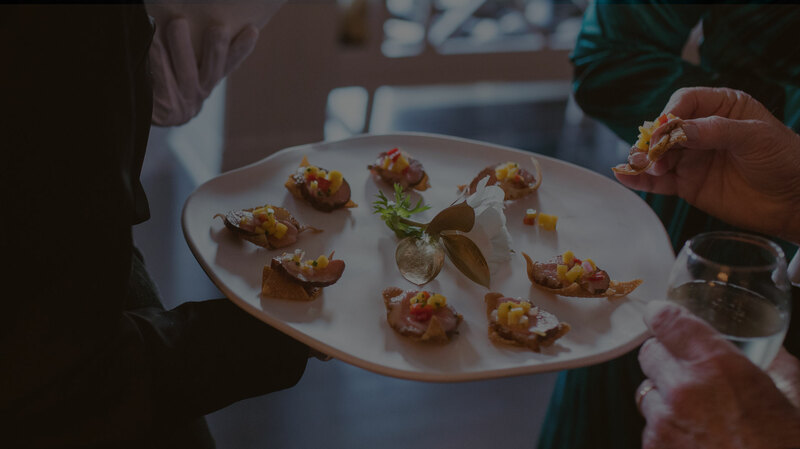 NHLC helps give our event the kind of atmosphere that people remember, and provides us with the level of service we desire our guests to experience. NHLC staff is of the highest quality - thanks to everyone for a very special evening. I was very impressed with the entire event. From start to finish John Ruggiero was accommodating, helpful and a pleasure to work with. The food was excellent, the staff was courteous and we would definitely use your facility again and again. Hats off to you for making our winter reception something special. 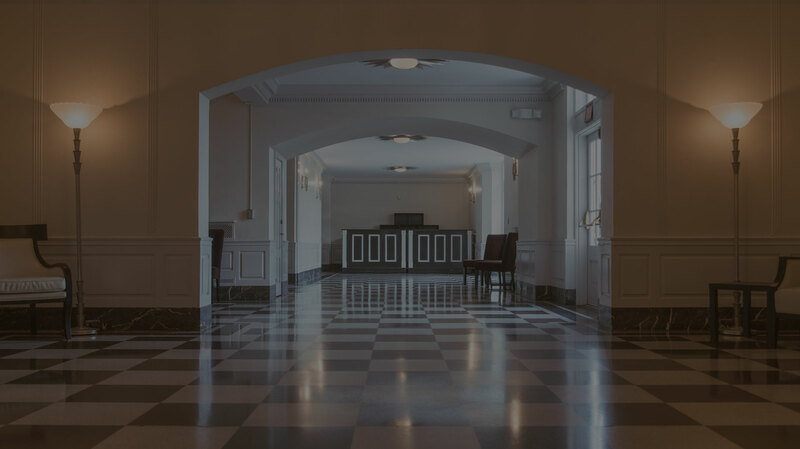 Please contact our Director of Corporate and Social Events, John Ruggiero, regarding options and availability by message here, or phone John at 203 777-3494 ext. 212. We love all things social and welcome you to join us online, so we can make memories together. Copyright © 2017. All Rights Reserved. Site strategy and design How 2 Design.